A list of past and present projects is available on request. Our established relationships with flooring manufacturers enables us to provide a complete installation package at a seriously competitive price. Products include commercial carpets, timbers, laminates and commercial vinyls. Commercial matting can also be arranged. Our commitment to quality is paramount. To that end we have implemented a quality assurance program and provide the documentation and approvals to meet all applicable Australian Standards and Building Codes. 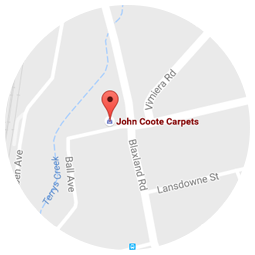 With regards to Occupational Health and Safety, John Coote Carpets has in place a quality programme that includes Safe Work Method Statements, Work Permits and Risk Assessment. We hold Public Liability insurance and Workers Compensation as required by the industry.